The rising dominance of transnational companies (TNC's) through acquisitions and restructuring activities together with downward pressure on prices driven by competition between supermarket chains is threatening jobs and incomes across Europe. In addition, the removal of the milk quotas has had a destabilizing affect on the sector. 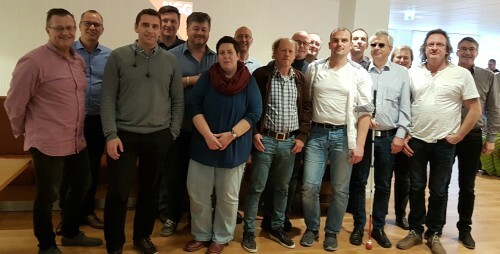 Affiliates from Germany, the Netherlands, Denmark, France and the UK who attended the meeting called for closer cooperation between members of unions within each TNC across national borders to prevent workers being forced to compete with each other as companies strive to reduce labour costs. Such cooperation will strengthen the fight against precarious work and job destruction and serves to strengthen organization within the IUF Dairy Division.